The right of the PLP are faced with an impossible conundrum. On the one hand, many of them believe that only through being tougher than the Tories on welfare, or being seen to want to drastically reduce immigration, can they ‘reconnect’ with the voters they lost from 2001 onwards. Yet on the other hand, they must persuade an increasingly leftwing and discontented party membership that they will not repeat the mistakes of either Blair’s government, or Miliband’s capitulation to Tory spending plans. Forced into this double-bind, both Angela Eagle and now Owen Smith have sought to win the leadership election by persuading the membership, against all evidence, that deep down they have always been against austerity, and they just want to see Labour in power so that they can put Corbyn’s policies into practice. As I wrote last week, this would be the essence of Angela Eagle’s campaign. She or Smith can win if they persuade enough party members who see themselves as on the left but sympathise with the right’s narratives of Corbyn’s supposed ineffectiveness in the referendum, or in the media, or simply fear the party will split. In order to secure those votes, they themselves must wear the clothes of the left. But for Smith, just as much as the New Labour minister Eagle, those clothes are a hard fit. He has been touted as a ‘soft left’ figure by much of the media, and has set out his stance on multiple issues, calling for a second referendum on the terms of Brexit to appeal to the party’s Europhiles, and has claimed Labour’s victories on tax credits and PIP as his own. Yet Smith’s record in the Commons voting ledger, in his previous public statements, and in his career as a minister, SpAd and lobbyist, show another story. Once Smith had told Radio 4 last Tuesday that he was “against” the Iraq war (though crucially, not against any recriminations for Blair), Smith’s interview with Wales Online while running for Blaenau Gwent in 2006 duly emerged and revealed, far from being against the war, Smith was at best ambivalent and at worst quite keen on the invasion and occupation, having told the interviewer, “I thought at the time the tradition of the Labour Party and the tradition of left-wing engagement to remove dictators was a noble, valuable tradition, and one that in South Wales, from the Spanish Civil War onwards, we have recognised and played a part in.” Furthermore, in the same interview, Smith set out his support for PFI, praising a local hospital built through PFI and saying, “If PFI works, then let’s do it. What people want to see are more hospitals, better services.” Yet now he claims to have been against PFI all along. When asked about another controversial New Labour policy, academies, he told the interviewer that he was not “terribly wound up about some of the ideological nuances” and that academies “have made great inroads”. Far from agreeing with Corbyn on austerity, Smith said as recently as January 2015 that, “I don’t think it’s realistic to say that they [public spending cuts] are wholly unnecessary” and that “There is a very serious point that we don’t know what would happen to a government that failed to tackle its debts in the long run.” Yet now, predictably, he is against. While Smith’s statements in these and other interviews have shown a remarkable ideological dexterity, his voting record offers another chance for judgement. 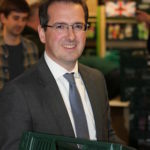 Though he has been praised in comparison to Eagle for not abstaining on the Tories’ welfare bill last year, he was not among the 43 MPs who rebelled on the Tories’ workfare bill in 2013 (Ed Miliband’s largest backbench rebellion), nor the 13 who voted against the introduction of the welfare cap in 2014. 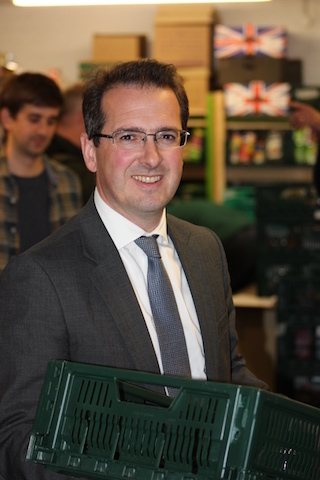 Steadfast opposition to austerity, it seems, is merely a recent addition to Smith’s political makeup. Perhaps more concerning than Smith’s past (or are they present?) affinities with New Labour, and his somewhat lacklustre voting record in Parliament, is his previous job working for the world’s second-largest pharmaceutical company, Pfizer, earning £80,000 a year as Head of Government Relations in their UK division from 2005 to 2008. Pfizer has been described as an “asset-stripper” by both Chuka Umunna and Lord Sainsbury – hardly a ringing endorsement of the professional history of the heir apparent to the Labour throne. Despite Sainsbury’s criticism however, Pfizer felt generous enough to donate £52,287 to Sainsbury’s Blairite pressure group, Progress. The company received headlines in 2014 when they proposed to merge with British firm AstraZeneca, and become the largest pharmaceutical in the world. The deal eventually hit the rocks after Ed Miliband raised concerns that Pfizer would have no second thoughts about laying off large parts of the AstraZeneca workforce – an episode which Smith remained rather quiet throughout, except intervening to call his old employers, “brilliant”. Smith’s view of Pfizer as a “brilliant” firm is not, however, shared by its critics. Pfizer’s international operations, particularly in the Global South, have come under increased scrutiny for a series of exploitative practices that have seen the company attempt to reap large profits for its drugs at the expense of populations who need them. As revealed by WikiLeaks, in Nigeria in 1996, the company attempted to unearth evidence of the Attorney General’s corruption, in order to dissuade him from taking legal action after claims Pfizer tested drugs on children without parental consent, while in 2010 in New Zealand, Smith’s former colleagues attempted to unseat an unfavourable health minister who didn’t see eye to eye with Pfizer on drugs policy. This is the kind of corporate lobbying Pfizer engaged in. Pfizer’s most controversial overseas venture however has been covered in the New Statesman just a few months ago. Pfizer controls the entire global market for the vaccine PCV along with GlaxoSmithKline, and has used its monopolistic position to charge huge amounts for vaccines, so much so that Medicins Sans Frontier have launched a campaign named A Fair Shot to try and force the company to drop its prices so that countries such as Syria, Iraq, Jordan and Lebanon can access the vaccination. Was Smith not aware of this kind of practice? Or was it simply part of the Pfizer business model that he lobbied for? Owen Smith should be forced to answer questions on his previous statements on cuts, privatisation and the Iraq war, on his voting for policies that caused poverty and destitution, and on his pre-parliamentary career with Big Pharma. While Jeremy Corbyn was fighting in Parliament against the Iraq war, Smith couldn’t make up his mind. While Jeremy Corbyn was fighting in Parliament to save the NHS from privatisation, Smith was pushing it from the other side of the corporate fence. While Jeremy Corbyn presented uncompromising opposition to austerity during the last Parliament, Smith wondered and wavered aloud whether it might be necessary. If you were to ask, “What does Owen Smith believe?”, the answer would not come quickly, or in a straightforward manner. Perhaps his answer would depend on who is asking the question. Perhaps his record inside and outside parliament should be allowed to speak for itself. A good article that just backs up my ‘gut feeling’ about Owen Smith. He reminds me of the classic New Labour “face both directions at once” kind of MP. He would be a step backwards for the Labour party. If this is the best “unity candidate” the PLP can offer then Labour really is in trouble. I think a lot of people on these threads need to understand where you are really coming from. A major problem (apart from the underlying crap Right Labour apologist politics) John P Reid has in his intentional ongoing disruption of Left wing discourse, is his habitual laziness in failing to edit his rants. This makes most of his stuff simply incomprehensible, and marks him down to any reader as an illogical twonk. Not the impression a determined ” fighter for all things neoliberal” should really aim to put across ! Was that “hoping” or perhaps , more logically, “nothing”, John ? Do, do , try to edit your tiresome drivel – so that it would at least be slightly coherent drivel. “At Pfizer’s factory in the Caribbean, company inspectors found inferior equipment which made poor welds. Rather than toss out bad valves, Pfizer management ordered the defects to be ground down, which weakened the valves further, but made them look smooth and perfect. Pfizer then sold them worldwide. Owen Smith reminds me of the Silence from Dr Who (made in Wales these days of course). You know the ones, they were always dressed in dark suits, looked very wet and slimey, and often hovered on the ceiling above you without you knowing because they had this special alien power which meant as soon as you averted your gaze from them you’d completely forgotten who they were. In fact people can test the ‘Silence Theory’ now – look at the picture of Owen Smith in the article above and then return here. See, you’ve forgotten who the hell he is already haven’t you! Play the ball not the man. Smith’s politically expressed views are fair game; his employment with Pfizer less so and redolent of a bit of McCarthyism. But how can he and Angela Eagle be seen as serious Labour leaders? If the right doesn’t have the bottle to put up someone credible it deserves to lose. On the contrary, Smith’s background as a lobbyist for the private medical industry is of central importance in understanding his candidacy. We either vote and encourage others to vote for change or we get the politicians we deserve. The big question these Neo-Liberal MPs need to answer is if we are to balance the budget where does the growth come from to fund public expenditure. The truth is already there for everyone to see, more cuts in public expenditure and the race to the bottom. Either we stand up and reverse that or welcome the return to the poverty levels in the 1800s, we are already back to the 1920s and 30s, these Neo-Liberals are shrinking the state and the NHS has just become a logo. Encourage everybody to understand that we can never go broke as a country, that countries like Japan are using unlimited ‘Quantitative Easing’ to get their economy out of terminal decline. The evidence is out there use it. Mervyne Hyde, Yes you can use unlimited QE but only if you have control of your own currency. Those within the EU that are bound hand and foot to the EURO have no chance as individual nations. You’re out of date, Mervyn. According to Richard Murphy ( UK Tax Research) a form of PQE is about to be introduced by our new PM, through what she has called ‘Project Bonds’. Unfortunately any long term “project bonds” offered by a Tory Government are much more likely to be used to build white elephants like HS2, or even nuclear power stations, than the sorts of socially useful major infrastructure projects like millions of council houses or sundry “green infrastructure” developments. There is nothing especially “socialist” in itself about nep-Keynsian government driven infrastructure investment as a tool of counter cyclical economic management. It’s what this government expenditure does that matters . And of course the wider issue of the constant destruction of our public services and wage levels by the full raft of the Tory Austerity agenda – which simply undoes any potential employment and general economic uplift deriving from a few isolated major infrastructure projects , funded by PQE or just government borrowing at current near 0% interest rates on the Money Markets. I generally agree, but nevertheless I think it represents a move by the establishment ( IMF, OECD,etc) back towards a form of Keynesianism, which is why the deposing of Osborne was not just getting rid of a political rival but a rejection of his balanced budget approach. Only 9 (severely hampered) months of the members’ plan to shift the Overton window and this already? Looks like Corbyn’s Labour is surpassing all expectations. May has ceded the anti-austerity and pro-investment agenda to Labour and, if this is at all sincere, now has to convince those in her party who have spent the past seven years or so wedded, with varyuing degrees of ingenuousness, to austerianism. Not to mention facing opposition from regrouping Cameron/Osbo factions and those party members, backers and eminences grises to whom the faintest whiff of Keynesianism is anathema. Once some of this starts to play out, we may see a re-run of the Ed Miliband Reverse Dogwhistle ****-up. Making noises that repel austerian true believers yet being forced to hedge, compromise and finally unequivocally repudiate any measures that might appeal to the pro-investment camp. The only clear impressions given: hypocrisy, confusion and indecision. The same dynamic also applies if, as is perfectly plausible, May is entirely insincere and has no intention of breaking with neoliberal orthodoxy. Meanwhile this near-irrevocable shift in the Overton window only serves to further marginalise Cooper and the rest of the austerians in the Labour party (not that they aren’t doing a good job of marginalising themselves already). Even if the Tories go for a bit (or even a lot) of counter cyclical infrastructure spending, they will not let up one iota on the destruction/privatisation of the public realm/Welfare State. Cuts in local government spending across the UK due to central government grant slashing is (certainly in England and wales) bringing many, many local authorities to a major “tipping point” where local authority provision will simply collapse across the board. “Austerity” as a broad brush series of interlocking measures to transfer wealth from the majority to a tiny minority will not let up at all – regardless of minor changes in rhetoric about “balanced budgets”. I doudt if Christine Lagarde’s main authority for her increasing calls for reflation was John McDonnell, but he has done a good job on austerity, notwithstanding comments from Murphy, Blanchflower and others that I do not altogether discount. Having said that I doubt whether a majority of MPs in either of the two main parties were ever committed austerians, and the utter failure of austerity policy has significantly reduced support for it. With looming recession May has no alternative to some form of reflation. Well the War Eagle has gone, just The Silence left to beat! He’s a bit of a shape-changer in the Burnham mould. I’m sticking with the real deal: Corbyn.